AIR policy experts closely reviewed plans submitted to the U.S. Department of Education in fall 2017 and developed state snapshots and a summary of key elements. Contingent faculty make up at least half of all higher education faculty—but are they more common at certain institutions? AIR’s Comprehensive Center directors share recent work on school discipline, early childhood education, equitable access, and culturally responsive instructional practice. A study by AIR and the Institute of Education Sciences (IES) shows that even small amounts of the right kind of feedback to teachers and principals can have an effect on student achievement in math. 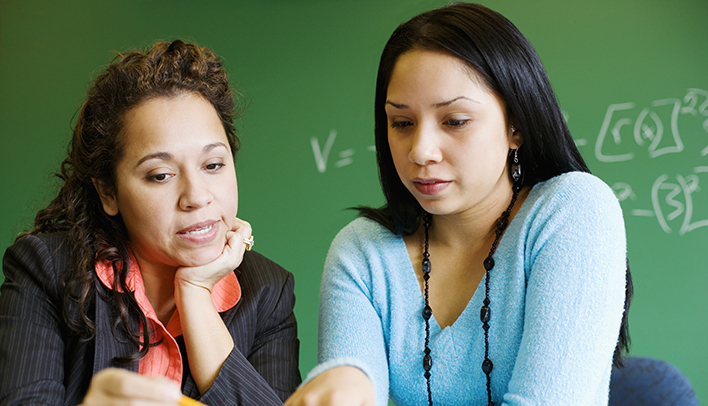 What Happens When Educators Get More Feedback? In This Study, Student Math Scores Improved. A study released today by AIR and the Institute of Education Sciences shows that even small amounts of the right kind of feedback to teachers and principals can have an effect on student achievement in math. As Andrew Wayne explains in this blog post, the findings are important for states and districts looking for ways to boost educator effectiveness. As communities across the country mark National Recovery Month, Roger Jarjoura explains why recovery can be particularly challenging for youth, and how the juvenile justice system must address their specific needs. The old Title IIA focused on improving the performance of individuals rather than schools and districts. Is the new IIA any better?